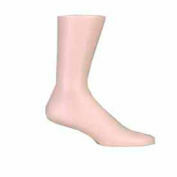 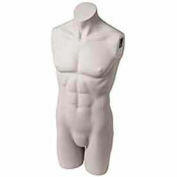 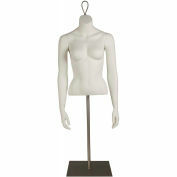 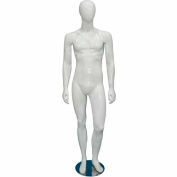 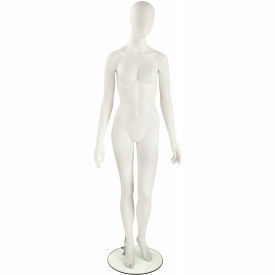 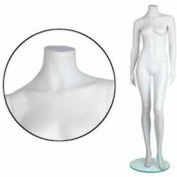 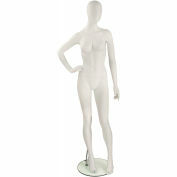 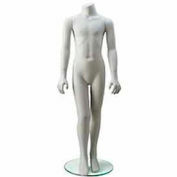 Female Mannequin - Oval Head, Arms at Side, Left Leg Slightly Bent -Matte White Highly stylized abstract mannequin with features that include slightly detailed fingers and abstract feet and oval head. 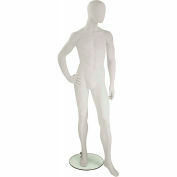 Beautiful Matte White finish. 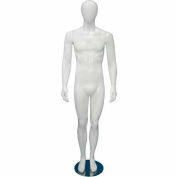 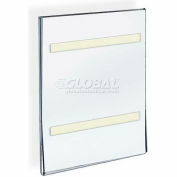 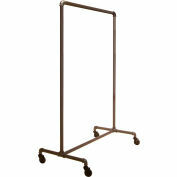 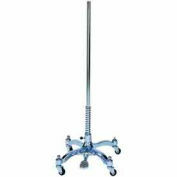 Includes tempered glass base, fittings for calf and setup kit.